As a Reading Specialist in the Language Lab, Mary Anne works with students to provide each with a firm foundation in phonology and orthography, providing instruction in reading comprehension strategies using a variety of methods. She holds a Master’s Degree in Education and a New Hampshire certification as a Reading and Writing Specialist. Other certifications include Specific Learning Disabilities, Special Education, and Elementary Education, plus Massachusetts certifications in Reading, Special Needs and Elementary Education. Mary Anne is certified as a Wilson Dyslexia Practitioner (W.D.P). She is also trained in a number of programs, including the Lindamood Phoneme Sequencing program (LiPS), the Visualizing and Verbalizing program (V/V), the Language! Course by Sopris West, and Project Read curriculum. She is a member of the Massachusetts Reading Association (MRA), The International Literacy Association (ILA), and the Wilson Academy® Reading Intensive community. 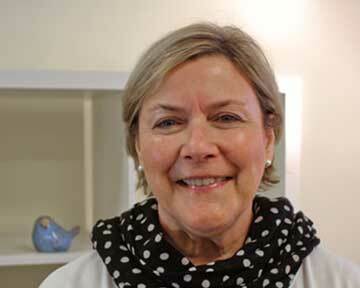 Mary Anne is an avid volunteer with the Network of Executive Women and the New England Food Foundation. She believes that students should be recognized for their abilities, not their limitations.